Lentil soups are very tasty and healthy. Now, when behind a window is damp and cold, such soups is a good saturating and warming dish. Special pleasure to eat freshly prepared hot puree soup from small tureens or small plates, seasoned with spices to taste. Wash eggplants, peel them and dice. Sprinkle with salt, mix and leave for 15-20 min. Wash lentil, put in the saucepan, pour with 1 l of water. Bring to boil, cook for 30 min. 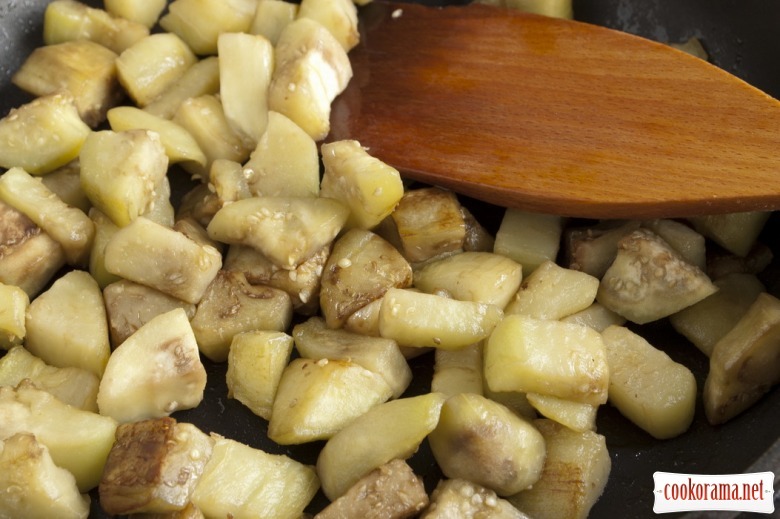 Wash eggplants from salt, drain water. Fry a bit in 2 tbsp of oil. 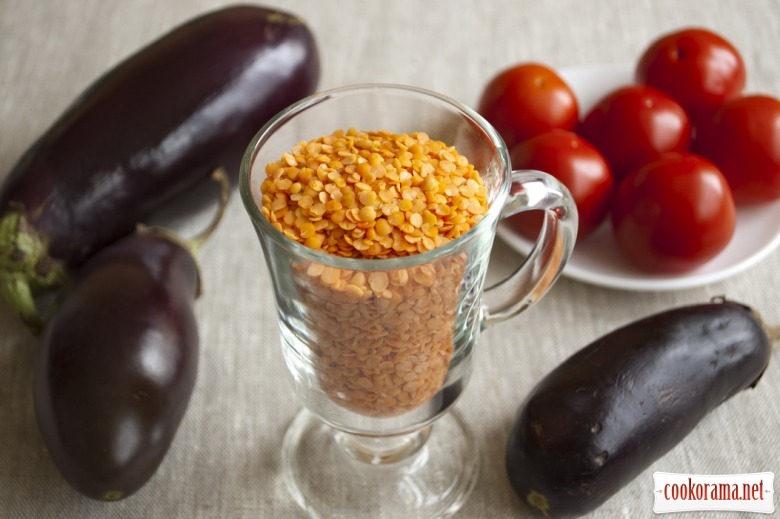 Add pieces of eggplant to lentil. Boil for 5 min. Peel tomatoes, grind into puree. 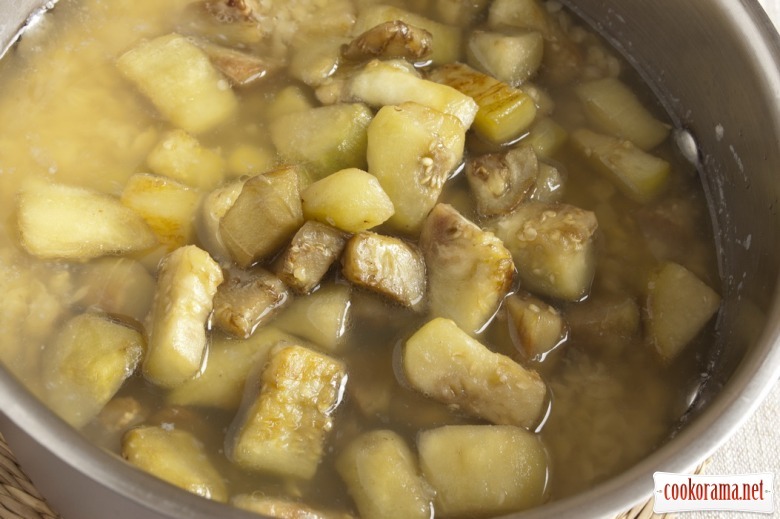 Stew puree a little in 1 tbsp of oil. Add to lentil and eggplants. Boil for another 5 min. 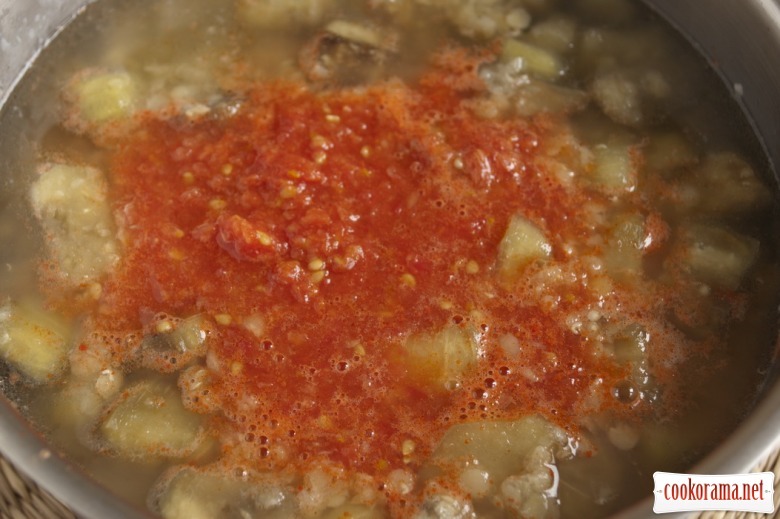 Try ready soup for salt Grind in blender into puree. 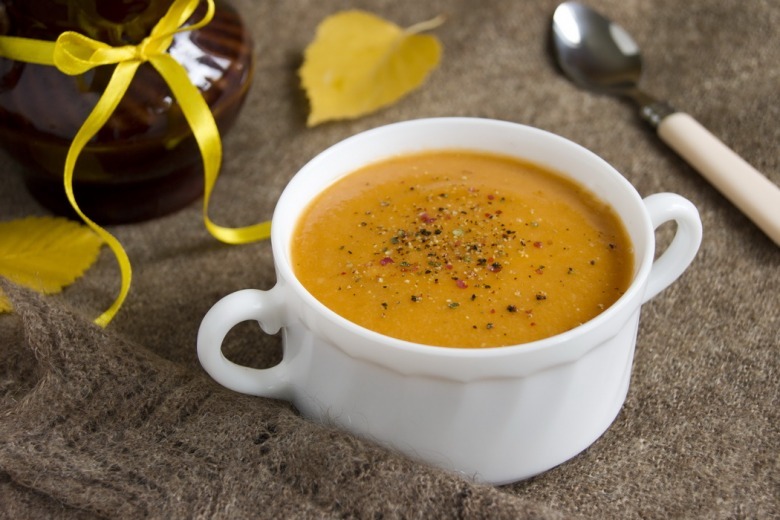 Few appetizing mixture turns into a sweet puree soup in autumn colors. Serve with a mixture of freshly ground pepper. 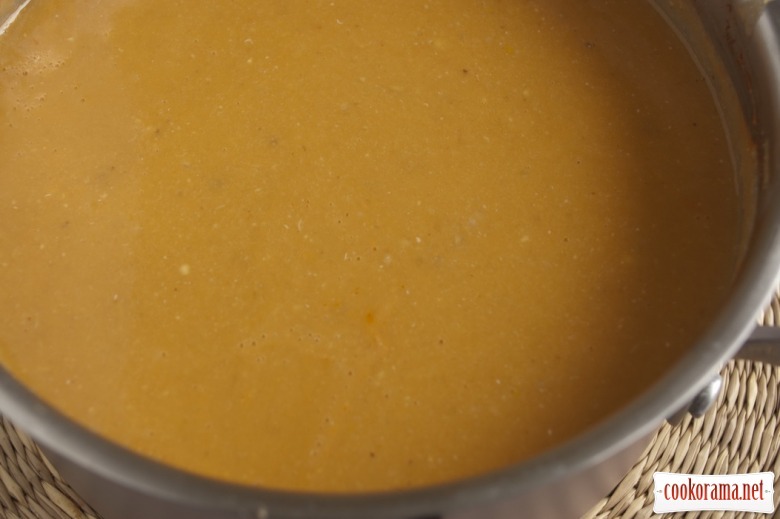 Top of recipe "Lentil puree soup with eggplant"
Есть еще супчик с фаршем и помидорками — тоже бесподобный суп! Чечевица создана, наверное, для подобных супов-пюре! красивое фото и интересный рецепт!